Panikos Panayi explores attitudes to German prisoners interned during the First World War. Close to the west coast of the Isle of Man, near the port of Peel, stands a plaque commemorating the presence of the Knockaloe Camp. This remains one of the few clues to the presence of thousands of prisoners, mostly Germans, who found themselves behind barbed wire in Britain during the First World War, reaching a peak of 115,950 in November 1918. 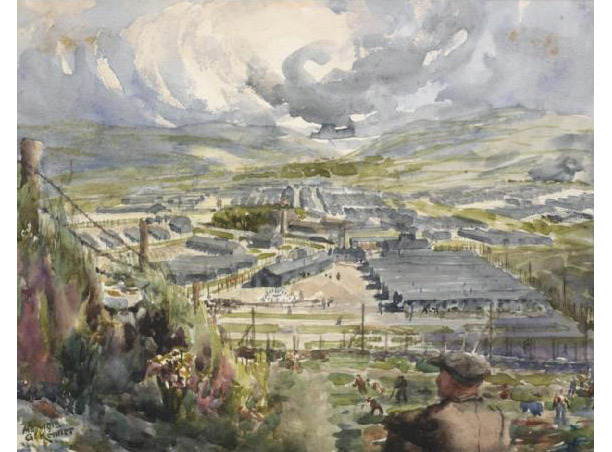 In fact by the end of the conflict Britain held over half-a-million prisoners on a global scale, among the 8.7 million people who endured captivity during the Great War.